That Mike Scandalios has written a book about pirates has everything to do with being a good storyteller to his three daughters — and very little to do with his 20-plus year career in finance. His historical novel Privateer is also the result of his lifelong interest in the American Revolutionary War. After the editing, Michael did what he calls “a blind testing,” gathering a group of people from 13 to 80 to read the novel last year to favorable “reviews.” He tried to find an agent but like many authors, both new and established, he went the self-publishing route. “My Dad had turned 80 last August and neither of my parents knew about the book,” he says. “I really wanted to give it to them — they are the ones who introduced me to the Revolutionary War and John Adams. 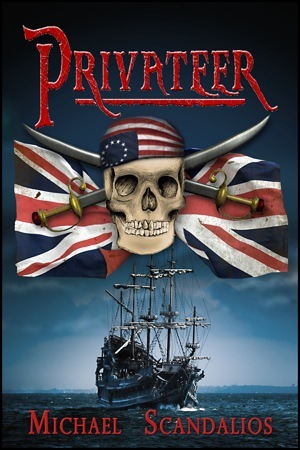 Privateer is available as a paperbook or e-book on Amazon.